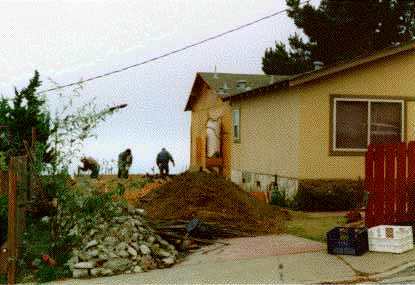 Rather than tackle the foundation myself, we decided to use a foundation contractor. He had a crew in to trench and form the footings. 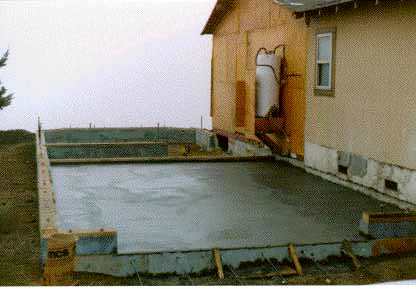 Once the stemwalls were poured and set, they pulled the forms and poured the garage slab. After the foundation had set enough to take the weight, I had the wood delivered and started framing the first floor.